So, you’ve decided to join the wonderful tribe of chicken keepers. Be warned, once you start keeping chickens you will never again be without them and strict discipline will be needed to stop your flock from ever expanding. It’s a fact, chickens are contagious. Chickens and gardens have always gone together. No cottage garden was complete without a few hens wandering around feeding on insects and laying their eggs wherever they pleased. Keeping chickens is simple but as their guardian you do need to make sure that you meet their basic needs, giving them a safe, happy and healthy life. Your reward will be wonderfully rich fresh eggs. Countless books and online forums are available and we strongly recommend that you read up before collecting your chickens. Our aim here is to provide you with a basic guide, based on our own experience from many years of chicken keeping. Why not keep chickens? They are fascinating, undemanding, make great pets and lay delicious eggs. Chickens are great weeders, scratching up and eating dandelion, shepherd’s purse and of course Fat Hen. They will also peck up grubs and insects whilst manuring the soil at the same time. For anyone with an average sized garden or more there is no reason not to keep chickens. Unless of course you suffer from alektorophobia, a fear of chickens. Unlucky you! The minimum number of chickens to keep is three. The pragmatic reasoning being that if one of them dies there’ll still be two to keep each other company. Chickens are gregarious creatures and should never be kept alone. So, if three chickens are the minimum then what is the maximum? Well that really depends on the space that you have available, how many eggs you want and how committed you are to chicken keeping. Flocks of 50+ birds will need to be registered and treated as a commercial flock. If you wish to breed chickens, then the eggs will need to be fertilised and so you will need a cockerel. Do check with any neighbours first as the early morning crowing is not always welcomed! This is where things may get complicated, there are just so many different breeds! Perhaps go along to a poultry show so that you get to see a wide range of breeds. The owners will be only too happy to chat and tell you why their breed is the best and to give advice. A couple of things to consider: Size & Space – smaller breeds, including bantams, make great pets for children and with smaller feet will cause less damage in the garden. They are often however great flyers which means they can be tricky to keep either in a pen or out of areas where you don’t want them. Larger breeds are less likely to fly and so easier to contain. However, their strong legs and feet can cause a fair amount of damage to the average garden and will of course provide larger manure! Egg Laying – some breeds are prolific layers whereas others may concentrate on looking pretty and only lay one egg a week. If you want a regular supply of eggs, then a hybrid may well be a better choice than a pure-breed however, do your research. The Dobies Starter Kit provides the basic items to have in place before you bring your new chickens home. Would you bring a puppy or a kitten home without a bed, feeding bowl, feed and toys? Well the same applies to chickens. 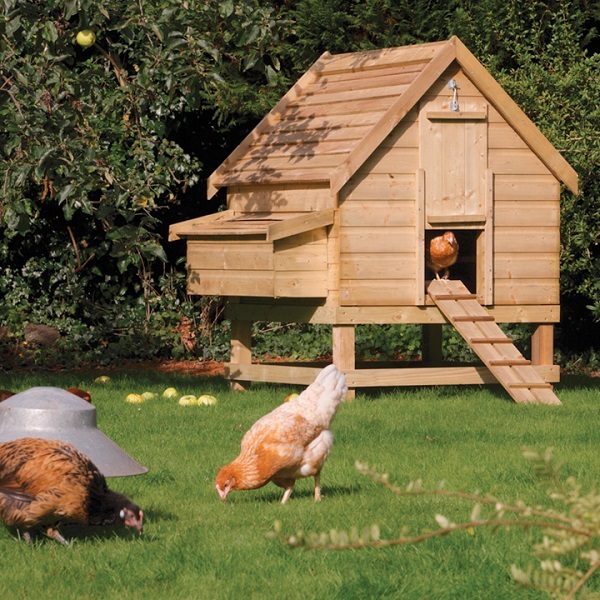 All you will need to add to the Starter Kit is the chicken house and either fencing or a run. The house you choose will depend on the number of chickens you are buying. Do follow the manufacturer’s guidelines. If the house is too small then the chicken at the bottom of the pecking order will suffer. If the house is too large then the chickens will struggle to keep warm on cold winter nights. Even if your chickens will be free range a run of some sorts is still useful for those mornings when you spot Mr Fox nosing about, want to go out for the day or simply want to keep the birds temporarily off your newly planted garden. The best type of run is definitely electric fencing. If you check out our website you will see that our Gated Poultry Kits include everything that you will need. Some chicken houses come complete with a run. The boundary of the run will need to be such that a predator cannot dig under. Everything that you will need (and a little bit more!) can be found on our website. 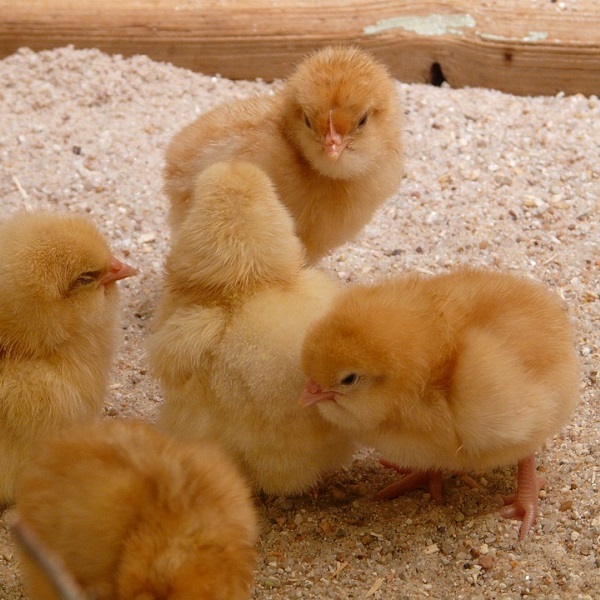 Buying chicks is the cheapest source but will they require heating and special care. You’ll also need to be confident that they have been sexed correctly or you may end up with a flock of boys. 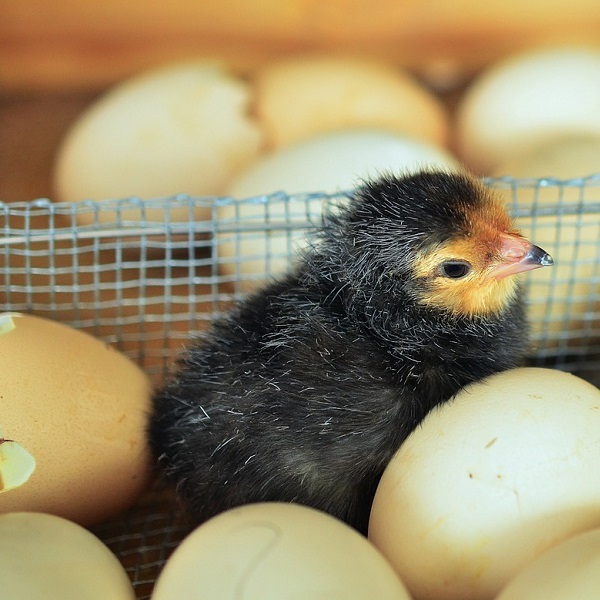 Dependant on breed and weather young hens (pullets) will start laying when they are anything from 18 to 24 week’s old and are described as being “at-point-of-lay”. The first few eggs will be small but will gradually increase in size. Buying at point-of-lay will be more expensive than buying chicks but is a far easier solution, they will all be hens and laying will soon begin. Unless you are experienced then our advice is to steer clear of poultry auctions. Instead find a registered chicken farm supplying vaccinated birds and give them a call. There is however a highly rewarding alternative. 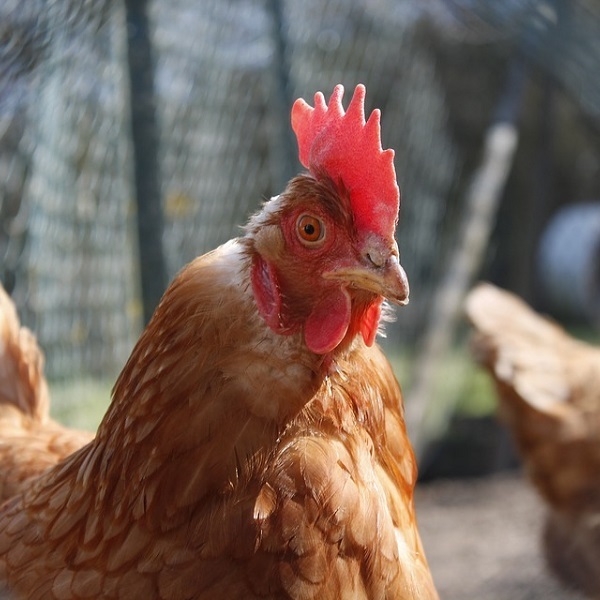 Why not rehome a commercially reared hen and give her a wonderful new life? Working with farmers the British Hen Welfare Trust (BHWT) takes in hens that have reached the end of their commercial laying lives and finds pet homes for them. Since 2005 they have rehomed around 50,000 hens! Although these hens are no longer commercially viable they make great pets and will continue laying for several years. Visit www.bhwt.org for more information. When you go to collect, your hens take a sturdy ventilated box. A cat basket will do the job but will need to be covered as your new chickens will travel far better in the dark. Once you arrive home release the chickens into their new house, with water and feed, and leave them alone to settle. Do not release them until morning. This time will allow the chickens to calm down after their journey and will also make them realise that the house is where they sleep. You may have to shoo them out in the morning and then back in again at night but they’ll soon get the hang of it. After just a couple of days they’ll be putting themselves to bed at dusk and you’ll just need to close the pophole. After having said “goodnight” of course! Apart from on that first day of arrival the food and drink should not be kept in the house but should be readily available in the run. The complete feed (pellets or mash) needs to be given in a feeder and a drinker for water. 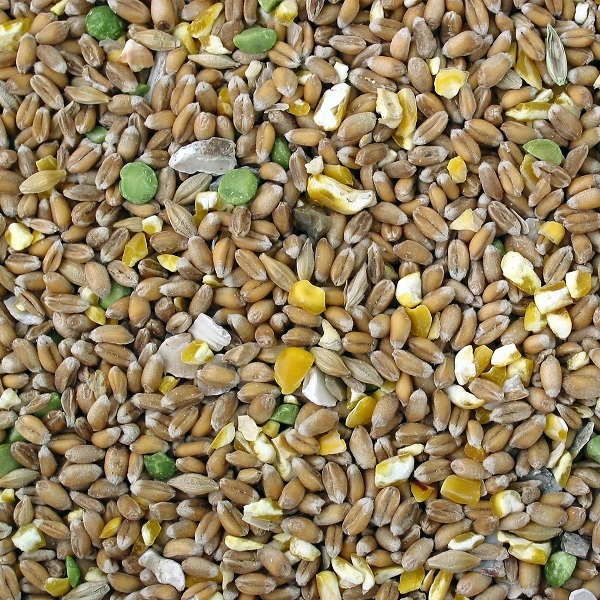 Mixed corn can be fed by scattering on the ground, the hens will enjoy pecking it up. Chickens are omnivores and will enjoy a wide range of food from grass and herbs to grains and even the odd unlucky mouse! 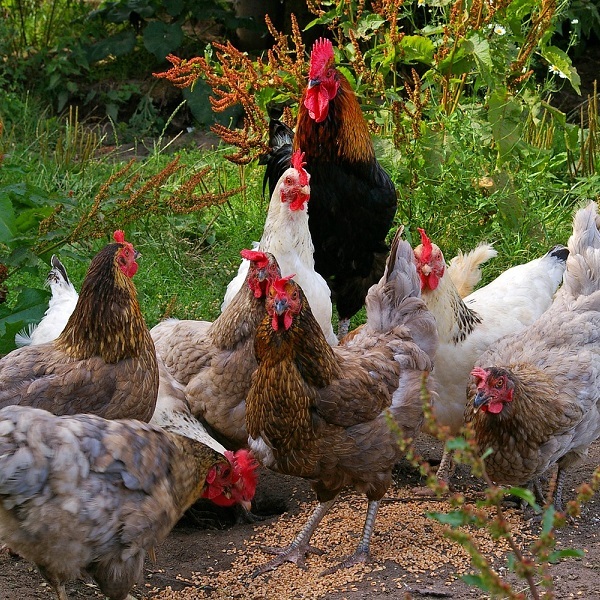 If your chickens have restricted foraging access, then they will look to you to provide feed. Even full free range birds will need these extra rations. 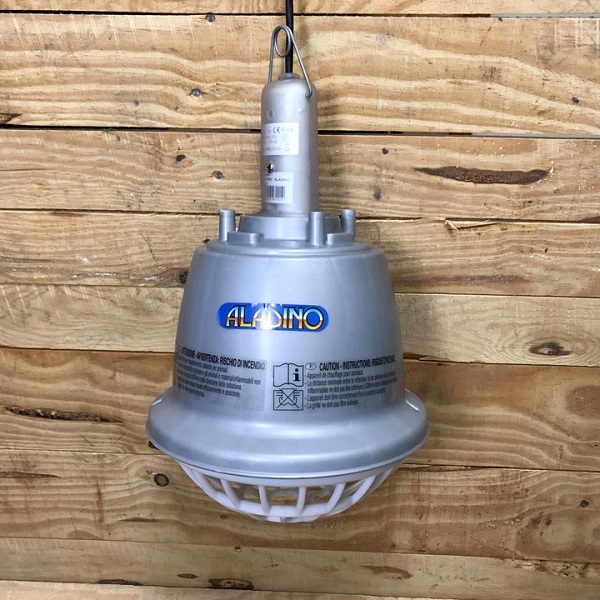 Reduce the risk of mice and rat visits by removing feeders at night and storing feed in metal containers. 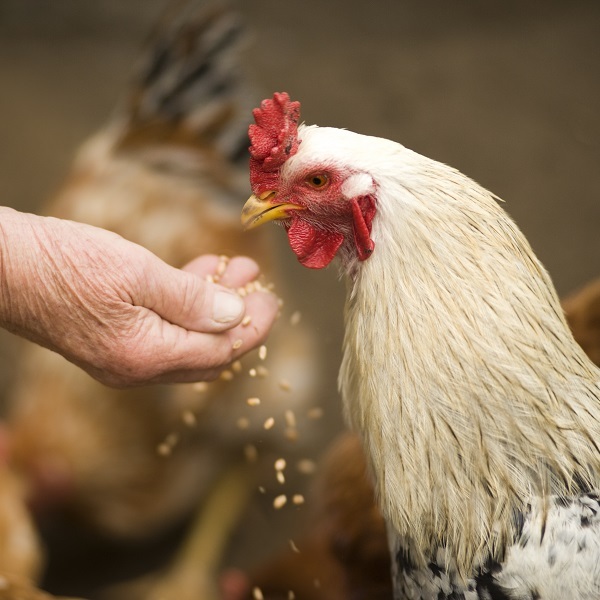 Compound feeds are available, containing all the necessary nutrients and vitamins for happy healthy chickens. This feed is available in both mash and pellet form. Mash makes the birds work harder for their meal and so prevents boredom however it can be very messy and wasteful. Pellets are easier for the chickens to eat and are, in my opinion, a better option. Chickens love maize and other grains such as barley and wheat. Given the chance some people will fill up on yummy sweets and snacks and then not be able to manage a proper meal and chickens are no different. They will always choose to eat grain rather than balanced compound food. So, grain needs to be fed as a treat and the best time is an hour or two before bedtime. A crop full of slow-to-digest corn will help to keep the hens warm on a cold night. Feed too much grain and your chickens will become overweight and egg production will fall. 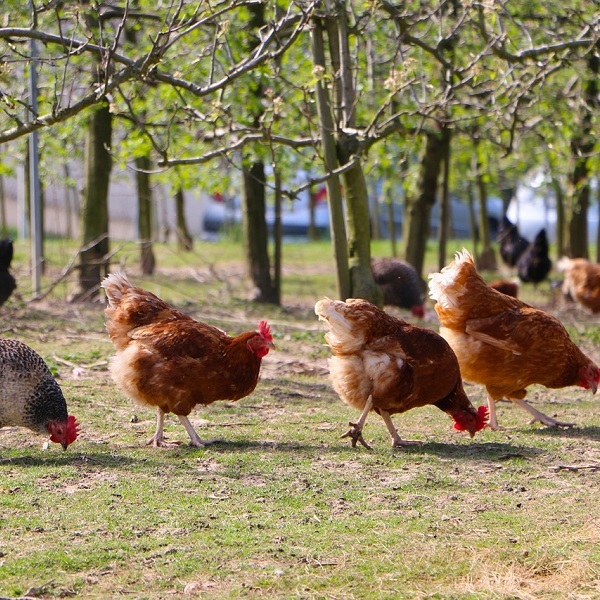 If your chickens are fully free range, then they may well get enough grit but as it is so essential to their well-being we suggest that you also provide it as a supplement. Chickens will store grit in their gizzard and use it to break down feed in a similar way to how we use our teeth. So, mixed grit is essential for healthy digestion. Chickens love most green veg including kale, spinach and broccoli. This is why they are so happy living on allotments! Amongst the greens that chickens enjoy are many weeds. They also enjoy strawberries and raspberries and will get much pleasure from pecking into apples and pears. 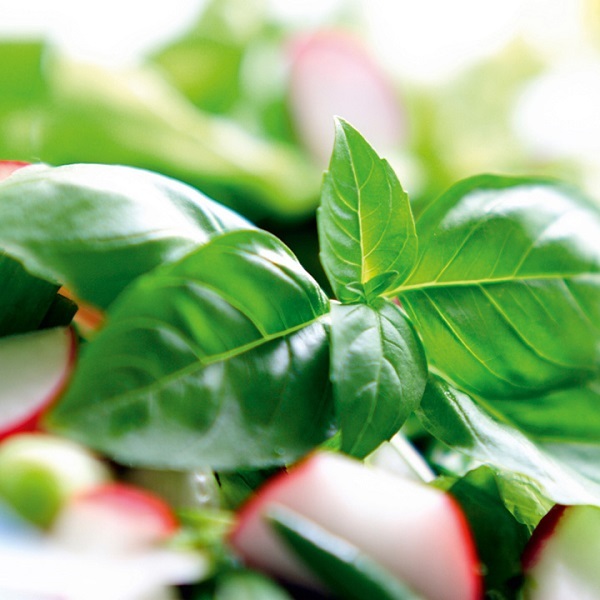 If your chickens are confined to a run, then hang the greens up for them to peck at. This will keep them amused and stop the greens from becoming soiled. Apples can be cored and hung up to allow the chickens to play bob the apple. Chickens are intelligent creatures who like to be kept busy otherwise they can become nasty bullies, picking on the weaker members of the flock. 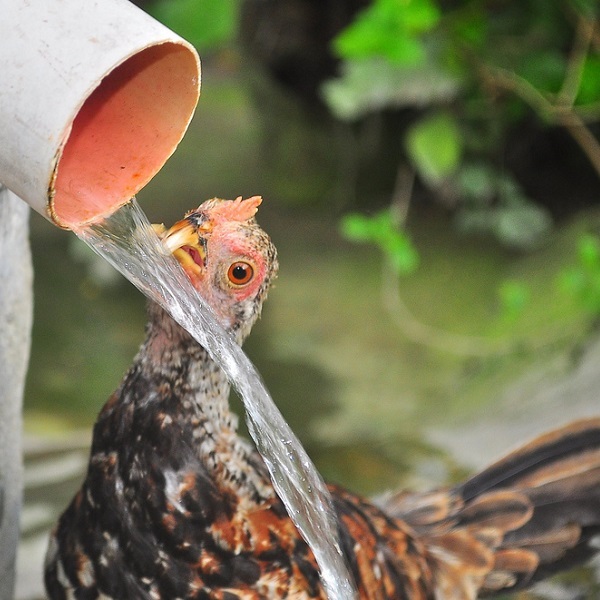 Chickens need free access to fresh water with the average bird drinking up to 500ml of water a day. Raise the drinker slightly above ground level and move it regularly or stand it on a bed of pebbles. This will prevent the area around the drinker from becoming wet and muddy. Chickens will readily drink such dirty water but it won’t be good for them. Popping a garlic clove or adding a tonic to their water will help to keep your chicken’s in good condition. Chickens are great time wasters. Few keepers can deny having spent time just watching their chickens catching flies, sunbathing or simply inter-acting with each other. Chickens can become very friendly, jumping on the lap of the gardener who sits down to enjoy a cuppa. So, apart from generally enjoying your birds what else must you do each day? To deter vermin, you will have removed the feeders last night so now fill them and return them to run. Check the drinker and fill with fresh water. If the area around the drinker is becoming muddy then move it. You do not want your chickens drinking muddy puddle water. Release the chickens, making sure that they all emerge from the house and are in good health. 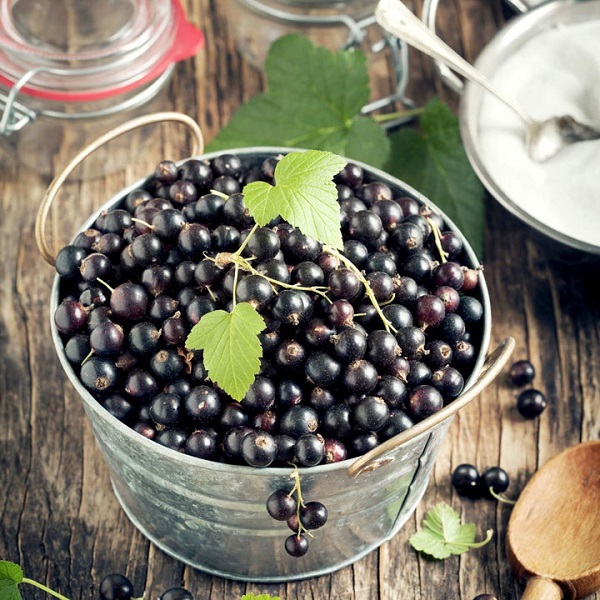 Remove any overnight droppings from the house and add it to your compost heap (yet another benefit!). Check the fencing to make sure that it remains impenetrable. Foxes, mink and other predators don’t just try to visit at night. Collect any eggs throughout the day. At dusk make sure that the chickens have all returned to their house and shut them in. Relax and enjoy your evening knowing that your chickens are safe and warm inside their house.